This is a manicure I did during this summer and it was probably my favorite of the whole summer. The lovely yellow base color is IBD Rocco. The mint green dots are IBD Hot Springs. The gray dots are IBD Iceberg. I love how the dots really make the yellow pop! See full swatches of these in my Swatch Gallery. I created this manicure using dotting tools. 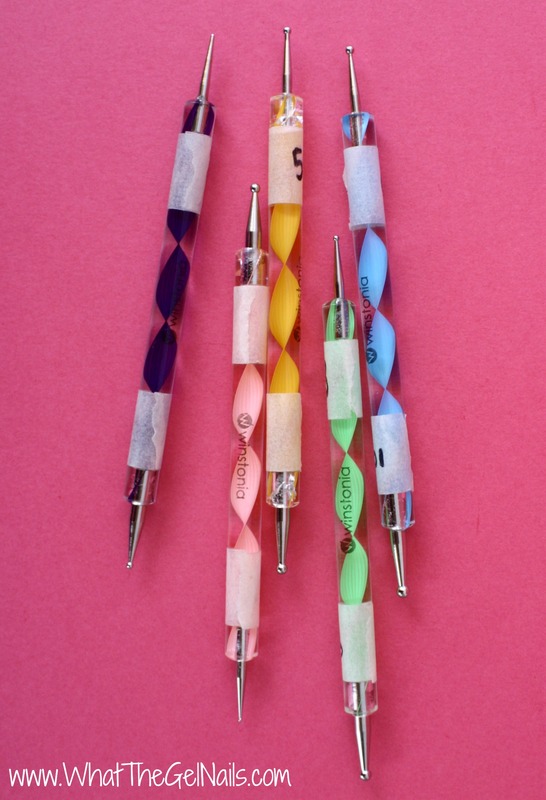 If you are into (or want to get into) nail art, then dotting tools are a necessity. They make nail art much easier and more consistent looking. Plus, they are pretty inexpensive. When they only cost a few dollars, there is no real reason to avoid buying them. I absolutely love my dotting tools because they are extremely versatile. Almost all of my nail art nail uses dotting tools. 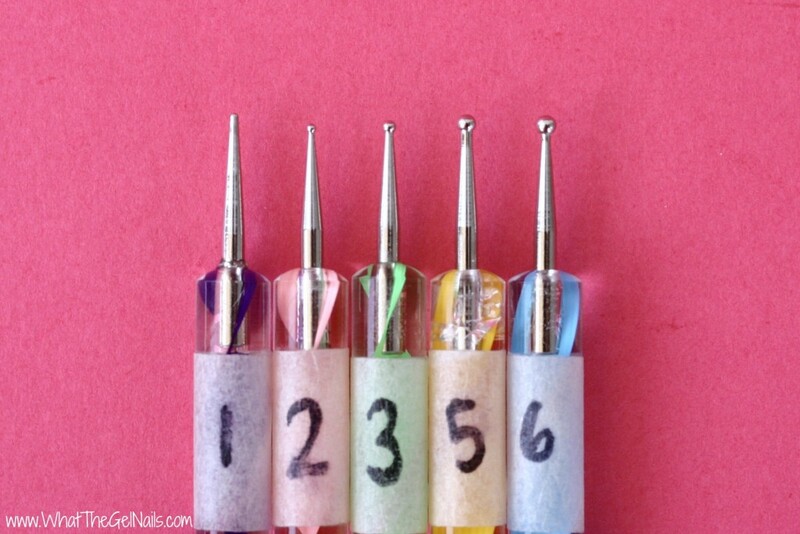 I have my dotting tools numbered according to size. The 10 makes the biggest dot and the 1 makes the smallest dot. 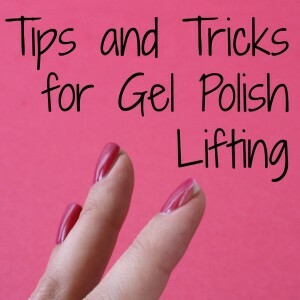 If you are new to gel polish, be aware that gel polish spreads much more than regular nail polish. 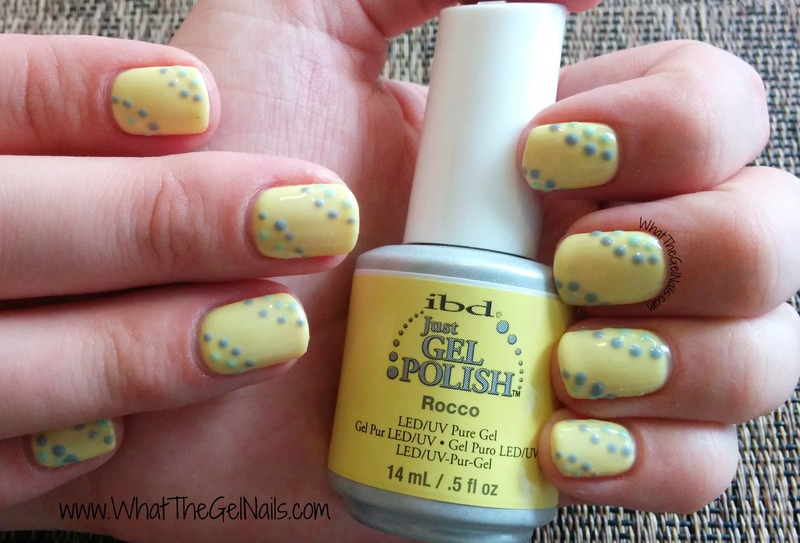 Even the smallest dotting tool will not make a teeny tiny dot if you are using gel polish. You can use acrylic paint instead of gel polish for more precise nail art. 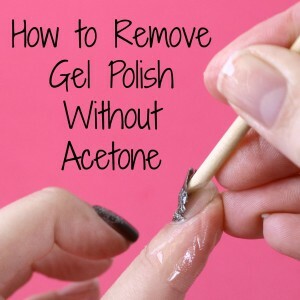 If you do this, do a regular gel polish manicure including removing the tacky layer from the top coat. Then, use the acrylic paint over the gel polish manicure. Let the paint dry completely. 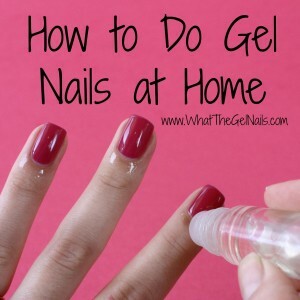 You can then use a regular nail polish top coat or a gel polish top coat. If you use a gel polish top coat be SURE the acrylic paint is completely dry before you add the top coat.